If you are wondering how to pay for college without going into debt, this is one of your best options. Scholarships come in all shapes and sizes. Schools give scholarships for many reasons including academics, athletics, fine arts and high entrance test scores just to name a few. In addition, many scholarships can be found through institutions not directly related to the college or university. These could be businesses, foundations, or other private groups looking to reward students who match a demographic or express an interest in their cause. In a perfect world a student would not have to work while going to school at the same time. Guess what…we don’t live in a perfect world. You might have to take a job on or off campus to pay for those college bills. A part-time work week of 10 – 20 hours is certainly doable with a little discipline and time management. Working a part-time job may cut down on the parties you attend but at least college will be paid for. All the ways to pay for college on this list can be decided on during a student’s senior year of high school except for this one. Long-term saving and investing is the best way to pay for college but it takes years to build a substantial amount. If you haven’t started investing by the beginning of your child’s senior year it makes little sense to do so. It’s not wise to invest dollars into the stock market that close to when the money will be needed. For those living in the U.S and looking to invest for college, the government passed into law in 1996 a special investing vehicle known as 529 plans (named after section 529 of the IRS code). These are tax-advantaged investing accounts designed to encourage saving for college. The money that accumulates in these plans over the years can be used for tuition and books, room and board, and other supplies or equipment at accredited colleges and universities in the U.S.
You can read more about these plans and all the benefits they offer at the SEC website or here at savingforcollege.com. Many families will choose to go the route of applying for and securing a loan to pay for college. The student doesn’t know how to pay for college and agrees to go into debt for it with the promise of repaying that debt once the degree is complete. While it is possible to secure a private loan from a non-profit or other entity, the majority of student loans in the United States are federal loans. These can be “subsidized” or “unsubsidized.” The difference between the two is that a student does not accrue interest on a subsidized loan while they are still in school. Students choosing to take out a loan must weigh the potential costs of going into debt with a future that is uncertain. That $50,000 – $100,000+ worth of student loan debt will take years to repay and cannot be expunged in a bankruptcy. If a student fails to find a well paying job in their field after graduation or their life circumstances change, they may find the debt to be a financial curse that haunts them for years. 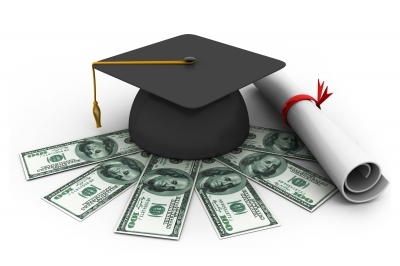 Information about the federal student loan program can be found at StudentLoans.gov. Grants are different from loans in that they don’t have to be repaid. That’s right…everybody loves free money! Grants are usually dispersed through the college, the state or federal government and private and non-profit organizations. While scholarships are mostly academic based, grants are typically need based, meaning families will have to apply for and meet eligibility requirements. The amount of aid you receive depends on how big the family need and the total cost of attending your desired school. To learn more about grant programs visit StudentAid.ed.gov. Many businesses will assist students with the cost of school tuition in exchange for years of employment after graduation. If it’s an industry you love and plan on making a career in this would be a great avenue to explore. Pursuing a military career can also turn into big dollars for college. Now, I wouldn’t consider joining the military JUST to have money for college but if that profession is a predetermined passion of yours then you stand to financially benefit. Similar to a business, students will be receiving aid for school in return for a commitment to serve. Each service has it’s own standards for eligibility and amount of financial assistance they pay out. A good breakdown with links to the various service academy programs can be found here at Military.com. The six areas I’ve summarized here are the best options for how to pay for college expenses. However, there are other practical things a student can do to reduce the overall expenses of college. I’ll discuss those items in Part II of this series. Questions: How did you figure out how to pay for college? How did you finance your education? Were you able to manage your student loans post graduation or did they turn your life into a nightmare? What job did you have during school? I’d like to add one: Co-op programs. Many universities like Georgia Tech (not that I’m partial or anything!) offer cooperative programs with employers where students can alternate semesters taking classes and working a full time job. It allows the student to get a real job inside their major, build real-world work experience, and receive a paycheck (during their work semesters) while retaining their status as a student while they work toward their degree. Many of the students I’ve known have gone on to full time jobs at the same companies they’ve co-op’ed with and were able to cover their tuition expenses without having to go into debt. Thank you for sharing that information Kyle. I love how Tech is thinking creatively to help students. Sounds like it may take a little longer to complete the degree – alternating work and classes that way – but I think it would be well worth it in order to pay for school. Great advice, Brian. Our plan is to lean heavily on our own investments and, if scholarships or grants are obtained, then we’ll just pay the taxes and penalties if that makes the most sense. We don’t have kids yet; would you recommend opening a 529 now, investing, and then shifting the beneficiary to our future kid when he or she arrives? I would wait to open a 529 plan until you have kids. I think it makes more sense until then to load up on retirement accounts. I’d do retirement first, then college funding. I feel this way because it’s my responsibility to take care of my own house first (my wife and I) then fund the kids college with whatever money I have left. That may sound selfish but I need to plan on living 30+ years after all my kids are gone from the house. My grandfather is about to turn 100. Yikes! What if I need money for that long? I don’t feel as much of a burden to fund the kids college like I do to fund my own retirement. If I’m going to overspend at least let it be at an elite school. Then again, I’d prefer not to overspend at all! I had scholarships for undergrad and had to use loans to go through optometry school. It was well worth it, but I wish I’d been smarter about repaying loans quickly. I have a few years before our daughter will hopefully be heading to college, but we opened up a 529 for her just after she was born. I doubt there will be enough to cover every cost, but at least that’s a start. Let’s hope she doesn’t want to go join the circus or something! That’s great that you thought so far in advance. Long-range planning is absolutely the best option. Unfortunately most don’t think about it until it’s too late. Scholarships, scholarships, scholarships! Those are how I managed to get out of college debt free. While work study is great, it isn’t applicable to everyone (depending on the school). A lot of those jobs were only available to kids at my college who were on financial aid. Luckily. being an RA was a free for all and such a great way to help play for college. I did the resident assistant gig for three out of my four years of college. “…only available to kids at my college who were on financial aid.” That’s how I was able to obtain on campus work – by getting accepted into the financial aid program. Others who weren’t on financial aid had to look off campus. My parents put a certain amount towards my tuition each semester and I took out loans for the rest. All the other expenses were paid through my part-time jobs. I worked a student job all four years (got the job the first month I was there) plus I worked a second job on the weekends for part of my time in school. Part-time jobs allowed me to avoid consumer debt, pay for a car in cash my sophomore year (which I’m still driving today, though it could die any day now – *knock on wood*), and gave me some great experiences and references. My last semester I worked 24 hours a week at the company I interned at the Summer before, plus about 16 hours a week at my on-campus job. If anything I wish I had worked “smarter” during college. I wish I had started a small business – like a blog – and actually stuck with it. Besides that I have no regrets even though my wife and I both have a pretty sizable amount of student loans. The payments are now offset from side hustle income and my next goal is to offset my mortgage payment. I’d say you are on the high end of weekly work hours. That’s great you were able to manage that much. I think the big thing this did for you is allow you to avoid consumer debt. The debt from school is one thing but racking up credit card debt on other purchases while in college only makes the situation worse. Are you listening to this out there kiddos? DC’s testimony here proves it can be done. I was fortunate that my parents paid for college but my husband had to fund his own education. He did all but $5k through scholarships and this was pre-Internet days! So he spend countless hours researching and applying for scholarships. So many people overlook this step. They don’t think they will qualify but you will qualify for more than you think. And any money you receive, is money you don’t have to earn or pay back! I agree, we spend so much time on deciding where and what major and just assume that A) parents are paying for it or B) I’ll get financial aid. I think how you will pay for it and what you intend to major in ties directly into where you will go to school. Tuition at a school costs the same whether you get a job that pays $40k or $100K but the ease in which you can pay back the loan will vary greatly. I should have done more to apply for scholarships. I simply was not aware of the options that were out there. “…how you will pay for it and what you intend to major in ties directly into where you will go to school.” Yes…I agree with that. The potential income of your field is something that most students do not research. Then they graduate with 75K in student loan debt working in a field that only pays 35k/yr. Oops…going to be real tough to raise a family and pay off that amount of debt in a timely manner. I received a good amount of scholarships and financial based aid for some private universities, but it was still kind of expensive for my folks so I ended up at a state university. Actually, I received nearly full scholarships to some schools near where I live, but I didn’t want to stay home. Can’t say I regret that though as I did learn to responsibility and independence. The state university tuition was relatively affordable and I had some financial aid. I worked at the print shop and took temp jobs in the summer. The state university is most often where you will find the cheapest tuition rates especially for those who are residents of that state. If you are going out of state to another state school though it’s a different story. Scholarships are a big one that I wish I had pursued MUCH more than I did. As is simply getting a lower-cost education. I do think that the name of the school I went to helped me out some right after college, but over time it’s become mostly irrelevant and in any case I think there are MANY career tracks where the name of the school barely has to matter at all. Good post Brian! I think a big part of our problem is that college is expected today but we do little to prepare students as to what it’ll require/cost them. I went the loan route and made my fair share of stupid mistakes – like taking out the max and delaying paying them off. Thankfully it didn’t cause too big of a hurdle, but definitely glad to be free of them. Thanks John! I agree with your assessment about preparation. I think people’s dependence on the federal loan system may keep them from adequately preparing in other areas. If they know they have access to loans, why save and invest, right? At least that’s the thinking. For my undergrad I did a combination of scholarships, work study, federal loans and relying on my parents money to pay for school. The student loans are the real tricky one to figure out. I would investigate all other alternatives before applying for one.